Happy St. Patrick's Day! I hope you're wearing something green! I am not. Truth be told, I forgot all about St. Patrick's Day this year. Sometimes living on a ship in the middle of the ocean takes it's toll and I lose track of what's happening on land. Oops. Lucky for me, I'm on land today so I remembered that it's a holiday! 1. 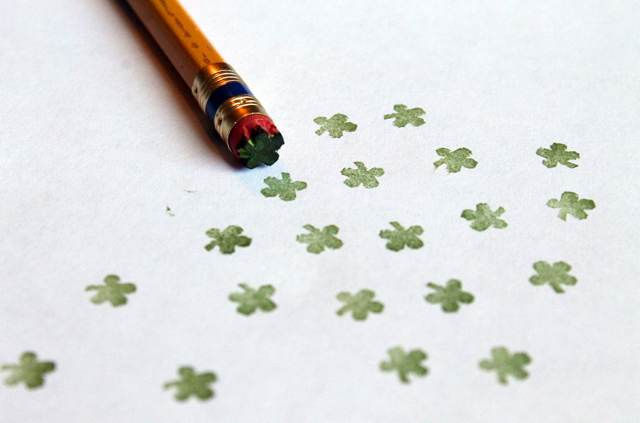 Make a cute little shamrock stamp with Punk Projects. 2. 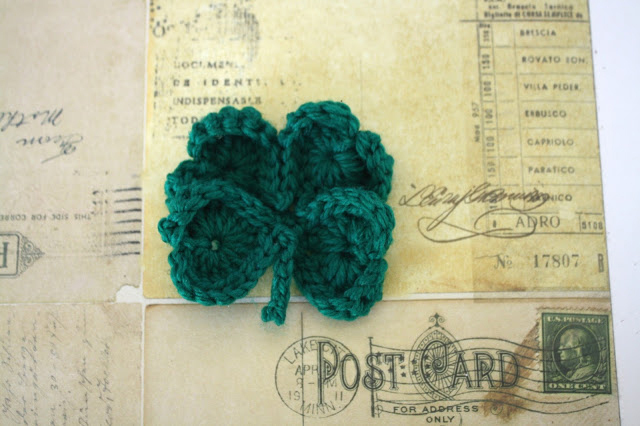 Learn how to crochet a 4 leaf clover over at How to Crochet a Heart. 3. 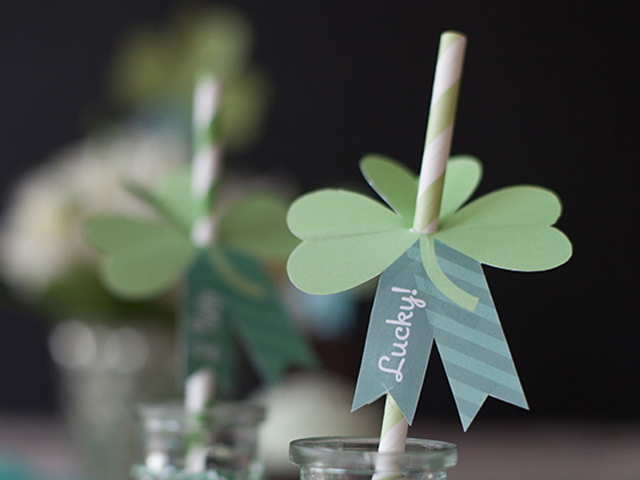 Print out some paper shamrocks created by Lia Griffith. All 3 of these photos belong to the bloggers who came up with these craft projects. Don't forget to click on the links to their sites to see more great photos! I hope you have a great St. Patrick's Day, regardless of how long you had to prepare for it!